Many websites use HTTP. However, back in 2014, Google recommended that sites switch to HTTPS. Until then, only sites with e-commerce pages really bothered to use HTTPS. 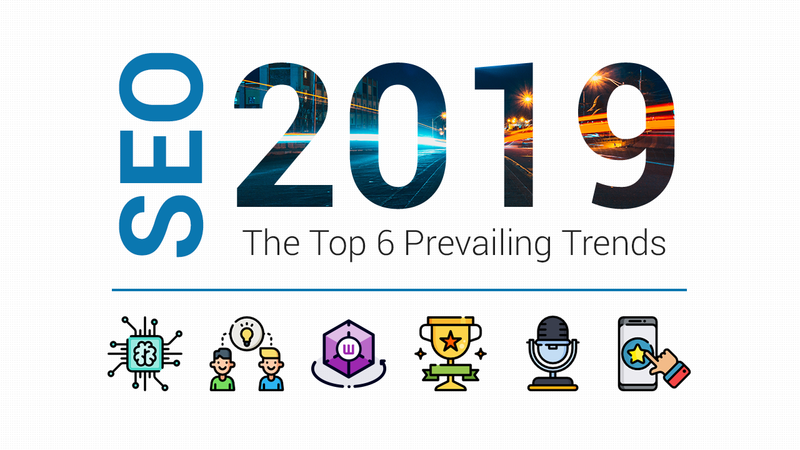 As an incentive for switching over, Google announced that it would be providing HTTPS sites with a minor rankings bump, in effect punishing sites that did not switch over by giving an edge to competitors that did. Now you’re probably wondering – why is it so important that you switch over to HTTPS? Is it really worth the hassle to do so? What even is the difference between HTTP and HTTPS? Will using one over the other affect your SEO efforts at all? 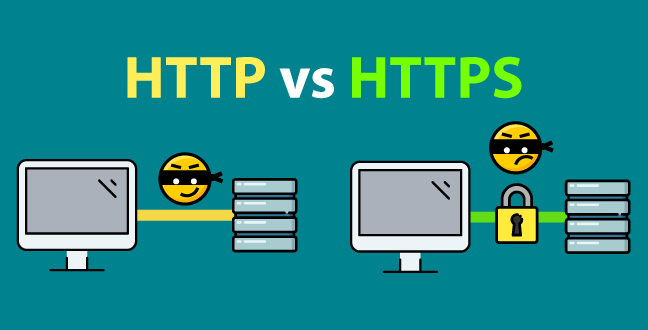 The following guide will break everything down for you, not only answer these common questions but giving you a much better understanding of HTTP vs HTTPS in general. The first thing that we should go over is what HTTP and HTTPS actually are. It’s going to be difficult to understand the impact of switching from one to the other or how to choose between HTTP vs. HTTPS without a general understanding of both. HTTP stands for Hypertext Transfer Protocol. At it’s most basic, it allows for the communication between different systems. It’s most commonly used to transfer data from a web server to a browser in order to allow users to view web pages. It’s the protocol that was used for basically all early websites. HTTPS stands for Hypertext Transfer Protocol Secure. 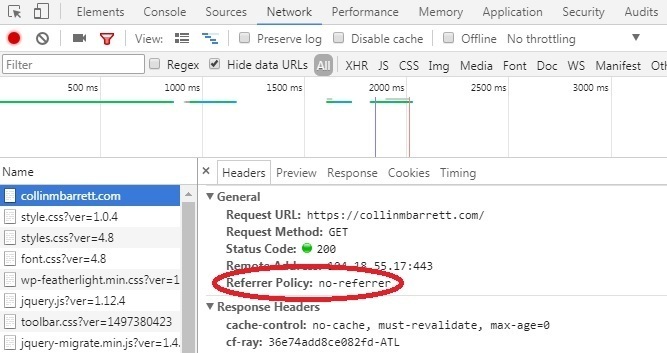 The problem with the regular HTTP protocol is that the information that flows from server to browser is not encrypted, which means it can be easily stolen. 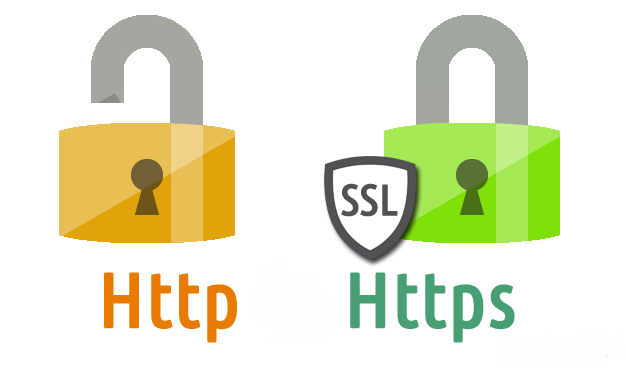 HTTPS protocols remedy this by using an SSL (secure sockets layer) certificate, which helps create a secure encrypted connection between the server and the browser, thereby protecting potentially sensitive information from being stolen as its transferred between the server and the browser. The most important difference between the two protocols is the SSL certificate. In fact, HTTPS is basically an HTTP protocol with additional security. However, this additional security can be extremely important, especially for websites that take sensitive data from its users, such as credit card information and passwords. 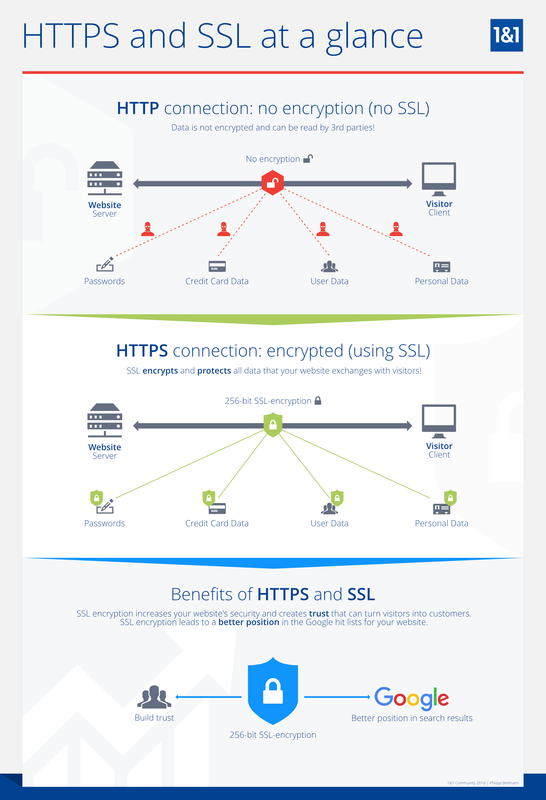 How HTTPS works? The SSL certificate encrypts the information that users supply to the site, which basically translates the data into a code. Even if someone manages to steal the data being communicated between the sender and the recipient, they would not be able to understand it due to this encryption. But in addition to adding that extra layer of security, HTTPS is also secured via TLS (Transport Layer Security) protocol. TLS helps provide data integrity, which helps prevent the transfer of data from being modified or corrupted, and authentication, which proves to your users that they are communicating with the intended website. 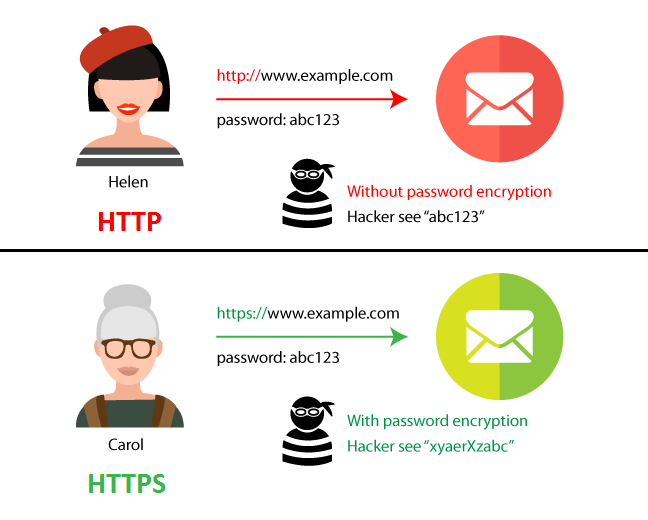 If you’re looking at the main difference between HTTP and HTTPS, HTTPS obviously has a big advantage. After all, wouldn’t you want your site to be as secure as possible? The thing is, if you don’t have an e-commerce page and you’re not accepting potentially sensitive information from your website’s visitors, then you might be thinking that switching over to an HTTPS site isn’t that necessary and that doing so is a bigger hassle than it’s worth. HTTPS SEO impact! Besides the fact that Google itself has announced that sites switched to HTTPS will receive a small bump in rankings, doing so can lead to a rankings boost over time in any event because visitors will be more likely to browse through sites that they know are secure. If your website is new, you can read our guide here on how to increase your website rankings immediately with SEO. Additionally, you protect your site from security breaches, which can end up damaging your reputation and even costing you money if they do occur. If you want to be able to use AMP (Accelerated Mobile Pages), then you’ll need to have HTTPS. AMP was created by Google as a way to load content onto mobile devices at a much faster rate. At its core, AMP is kind of like a stripped down HTML. 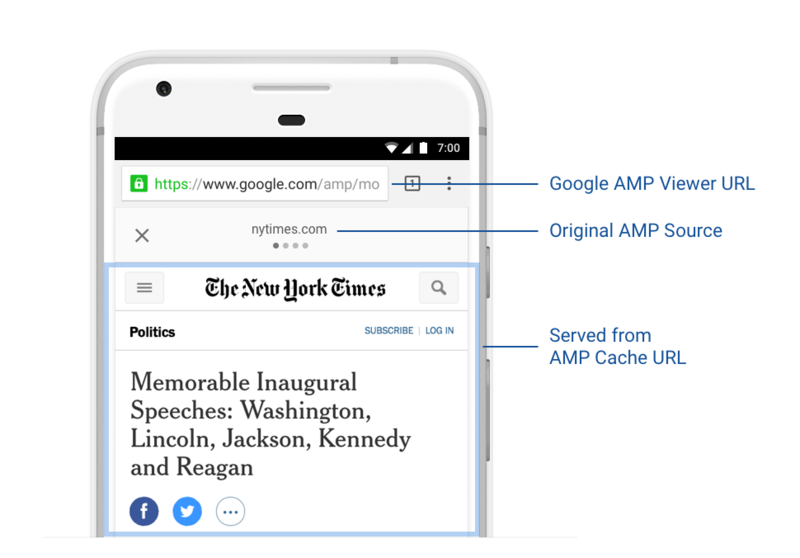 AMP content features prominently on Google’s SERPs to create a better mobile experience for smartphone and tablet users. If creating a mobile-friendly website is important to you (and it should be, considering the increasing importance of mobile search rankings and local SEO), then switching to HTTPS is a must. Inform Google that you have switched from HTTP to HTTPS. There’s not some kind of automatic notification that lets them know when you’ve switched, which means that the rankings boost that they have promised may n ot occur until they crawl your site again, which may be a while unless you notify them yourself right away. There are several certificates other that SSL certificate. These include Single Domain, Multiple Domain and Wildcard SSL certificates. A Single Domain certificate is issued for one domain or subdomain. A Multiple Domain certificate, which is also known as a Unified Communications certificate, lets you secure a primary domain name and upwards of 99 additional Subject Alternative Names. Wildcard certificate allows you to secure your website URL as well as unlimited subdomains. Make sure you use relative URLs for any resources. This is to reside on the same secure domain and protocol relative URLs for all other domains. Make sure that you’re not preventing Google from crawling your HTTPS site. If they are unable to use robots.txt. to crawl through your site, it could end up hurting your ability to improve your SEO, thereby hurting your potential search ranking. This generally happens if you forget to update your test server to allow bots. Make sure that you allow search engines to index your pages. You have the option of discouraging search engines from doing this, but this could damage your SEO efforts since your page rankings will then be wiped out – and it could take a while for you to regain them. Be vigilant about tracking your migration from HTTP to HTTPS. You can do this by using Google Webmaster Tools and other analytics software to ensure that everything goes smoothly and to catch any issues that occur as soon as possible so that they don’t end up hurting your SEO. 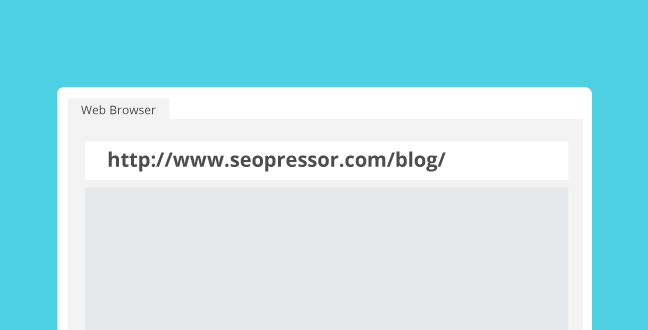 It may take a while to get your site completely migrated to HTTPS, but it’s worth it in the end. 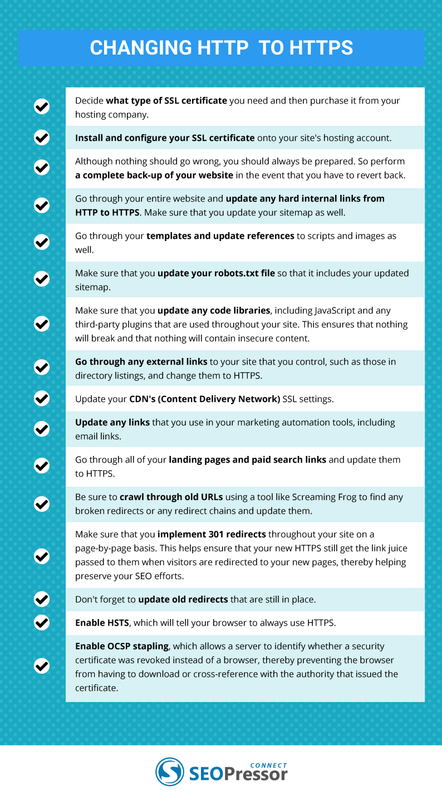 Just make sure that you double check all of the links throughout your site to make sure that they are properly updated or else they will break after migration. You want your website to be secure for a number of reasons. Not only do you want to protect potentially sensitive information, but you’ll want to make sure that your visitors are comfortable browsing through your site. These reasons alone are a good reason to switch from HTTP to HTTPS. However, when you consider the effect that switching to HTTPS will have on your SEO, it becomes a no-brainer. 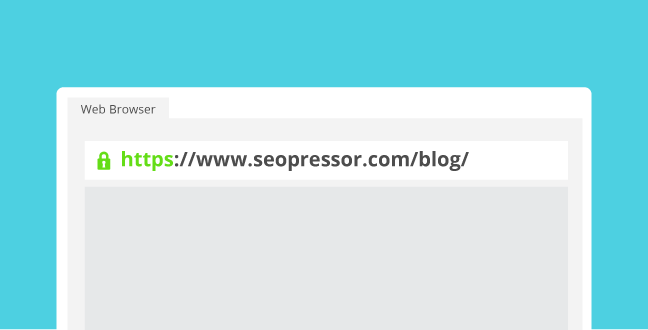 If you have yet to switch your website to HTTPS, then you should take the time to do so. Yes, there are a number of steps involved, but the effort it will take is well worth the result. HTTPS has already become the standard protocol, which means that the longer that you hesitate, the more of a chance there is that you’ll fall behind your competition. If you have already switched your website to HTTPS, then we’re curious as to whether you’ve seen the results of having done so yet. We would love to hear about your experience in this HTTP vs HTTPS topic – such as when you migrated to HTTPS, what do you think of the main difference between HTTP and HTTPS, how long it took to see results, what results you’ve seen and what, if any, difficulties you might have encountered. So be sure to letting us all know by leaving your thoughts in the comments below! This post was originally written by Joanne Chong and published on July 13, 2017. It was most recently updated on July 27, 2018. 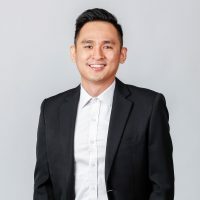 Jeff Teh is a Client Success Coach. He helps clients in business development, strategic planning and conducting effective marketing actions for their businesses. Jeff is also passionate in delivering presentation and sharing knowledge.